RICOH Imaging recommends updating to the newest firmware version that includes additional functions and product improvements. It is now possible to use Developers Mode. *The basic app for PC needs to be updated to the newest version (Version 3.5.0 or higher). You can save shooting conditions set with a smartphone on the camera. Shooting conditions registered in My Settings will be enabled when you turn the camera on while not connected to a smartphone. You can only use My Settings for still images. *Requires the latest version of the smartphone app (iOS 2.1.0 or above, Android 1.19.0 or above). *App for computer needs to be updated to the latest version (Version 3.5.0 or higher). 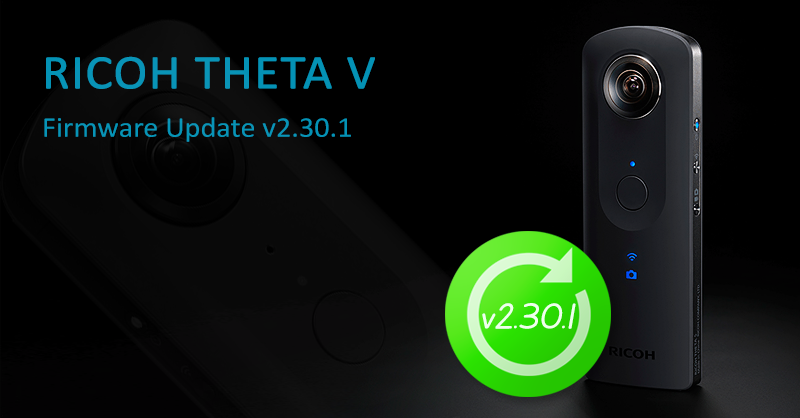 Posted in Cameras, Compact Cameras, Files, Firmware Updates, News, RICOH THETA V, RICOH THETA V firmware updates, THETA.